Hardware Numb3rs and SA Mod Pc Design have teamed up to gift one of their fans with a brand new PC case! 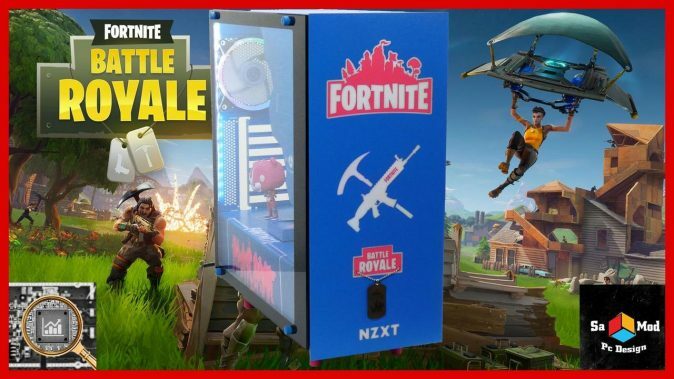 To enter in their latest NZXT S340 Elite Themed Fortnite Gaming PC Case Giveaway grab your free entries by following few simple steps listed down below! Expanding on the S340’s renowned durability, the S340 Elite features a tempered glass panel to showcase builds with crisp clarity. The top IO panel has been optimized with an HDMI port and additional USB ports for a streamlined VR experience. It includes a magnetic cable management puck to conveniently store VR or audio headsets with fast and flexible mounting access. The S340 Elite is strong, compact, and takes the S340 chassis to new heights. The winner will be notified by email and/or DM on Twitter/Facebook within 48 hours of the closing date. If the winner cannot be contacted or do not claim the prize within 2 days of notification, we reserve the right to withdraw the prize from the winner and pick a replacement winner.